Share evacuation plans with family members so they know where you’re headed. Run ice makers on overdrive now! Fill up freezer bags with ice and fill as much space in between your freezer items as you can. Freeze tap water for pets, cleaning or drinking in Tupperware-type containers. REMEMBER to leave a small bit of space between the top of the water & the lids so the ice expands but doesn’t crack the container. Fill up all vehicles with gas, check tires & oil. Retrieve cash from ATM, enough to get you through highway tolls and gas fill-ups for out of town trips. Call your bank if you leaving the state so they don’t freeze your card for out-of-area “suspicious” transactions. Make sure all important documents, heirlooms & photos are in your safe. For extra security, put them in a waterproof, plastic. If you aren’t comfortable leaving these items behind, take screenshots of all important documents and email them to yourself. Take the originals with you in a sealed bag or plastic, waterproof bin. Don’t forget about your furry friends. 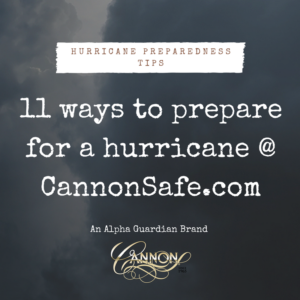 Be prepared with food & supplies for your pet or livestock. Take vet records with you in case you need to shelter them at a storm-safe facility. SECURE ALL FIREARMS & AMMUNITION PROPERLY. Put old rags & beach towels on your windowsills. Even with the best windows & shutters, water seeping from the wind pressure happens. A few damp towels are better than soaked drywall or floors! Shutter your windows and doors and bring everything outside into your garage or house as soon as possible. Do not wait until the day before. Better to get done early and relax than wait until it’s too late, ESPECIALLY if you are mandatory personal (hospital employee or first responder).